What better way to connect than to pause with a cup of coffee or a spot of tea? Our 4th annual fundraiser to benefit the Child and Family Agency of Southeastern CT and sold through the Essex Auxiliary. 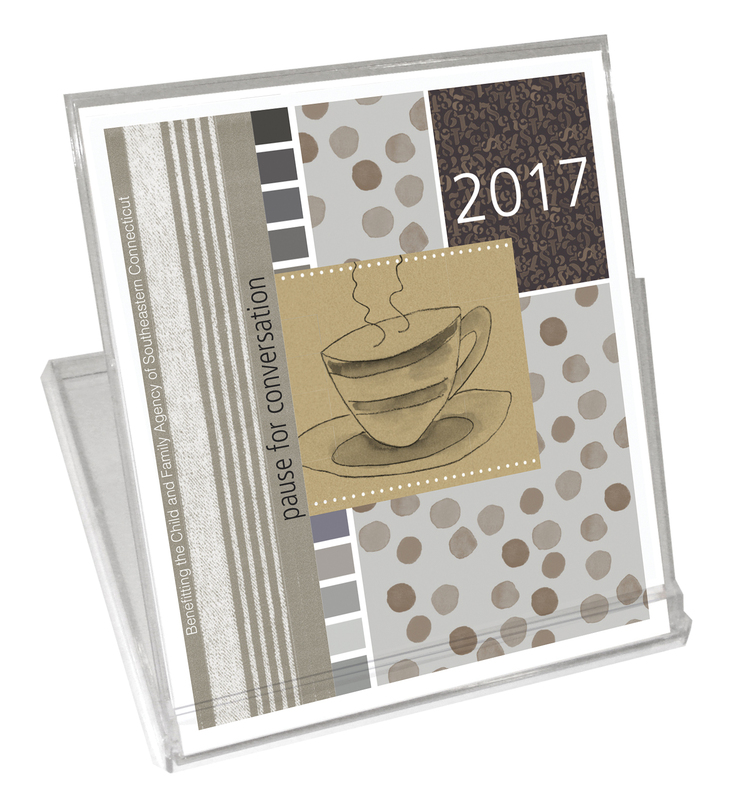 Calendars measure 5” x 5.5” and come in clear stand-up CD display case.